Rob's parents immigrated from Holland shortly before he was born. They settled in Pinehaven, Sliverstream, Upper Hutt. Childhood pursuits involved building forts in the pine covered valley, football and scouting. Like many boys he used his paper run to fund his model making hobby. In his case he favored war vehicles. But he has always had a natural interest in manufacturing processes, unable to pick up an object without questioning; how was this made? This, along with his creative talents, lead him into Industrial Design. He completed the four year Diploma course at Wellington Polytechnic (Now Massey University Design School) in 1982. While working as a design draftsmen for Cemac Interiors. Rob took on a second job creating sets for the New Zealand movie 'The Lost Tribe'. Starting work at 6.00pm and working into the morning and every weekend, he completed this work on his first film job. Later that year he went to England, Europe and Holland on an O.E. He returned to Wellington where he started picking up prop and model making work largely for the advertising industries. At that time he was working out of his flat basement. In 1984 he was established enough to lease his first workshop with a business partener; Brent Davenport. The pair worked on countless television commercial productions. This included one job that involved building a replica 1:1 scale model of a F18 fighter jet that was realistic enough to fool the New Zealand Army. Sue and Rob travelled to England so Rob could study Ceramic Design and Manufacture for a year in Stoke on Trent. When the ceramics course was finished he worked for Vision UK; a Manchester modelmaking company. Sue and Rob returned to Wellington and got married after their son, Max was born. Rob started what was then Human Dynamo Modelmaking, LTD, and in 2001 Sue joined Rob in the workshop as a business partener. Back in his workshop the bulk of the work was on TV Commercial projects; making props, costumes, effects and rigs. He also worked on displays and Architectural Models. The company is now called Human Dynamo Workshop. Rob and Sue have managed to adapt and stay on the front line of fabrication. They adopted CAD software and router technology as it came out and have become experts. Human Dynamo Workshop has grown into a larger company with three units, 3 full time employees and a stable of talented contractors that have expanded the workforce to 15 people in 2016. 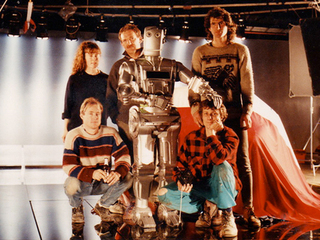 From the Robots head clockwise - Bill Tompson, Richard Taylor, Rob Uivel, Tania Rodgers and Alex Kenndy. GM Robot series of TV commercials. 1990. 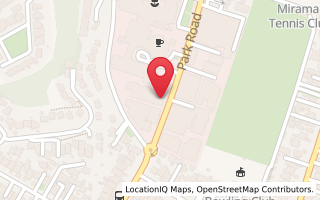 Susan grew up on Church Road in the wine region of Hawkes Bay. She enjoyed a childhood with lots of space and adventure and a semi-rural lifestyle. Her father loved jet boating, leading to her experiencing most of the upper reaches of the North Island rivers. But her main pastime was horse riding. She saved up and bought her own horse in her teen years. Sue describes herself as a visual thinker. This lead her to study Visual Communication Design at Wellington Polytechnic (now Massey University Design School). The course was a perfect fit for her, covering; illustration, design, photography, animation, film, life drawing, typography, printmaking and fashion illustration. She graduated in 1983. Sue worked as an Art Director at Illot Advertising Limited (later becoming Ted Bates) in Wellington. A brief move to Sydney saw her working as a designer and illustrator for Corlette and Associates and also as a free lance animation inbetweener for the movie, Footrot Flats. While Rob studies ceramics Sue works as Creative Director for DCL Advertising in Stoke on Trent, England. Sue headed the creative team. Pitching for work, client liaising, general advertising creative work and art direction. this included directing photography in Birmingham and Manchester. Before returning to New Zealand to start a family with Rob Uivel. First aid, human development, behavior management and biculturalism. Sue was awarded a life membership. During these years Sue was also doing paint finishing jobs and concept work for Human Dynamo as required. In 2001 the last of Rob and Sue's four children started school and this freed Sue up for a bigger involvement in the workshop and studio. Sue is now the creative director of Human Dynamo and has worked hard to bring Human Dynamo Workshop online, to modernise and create a strong name that both Sue and Rob are proud of creating.